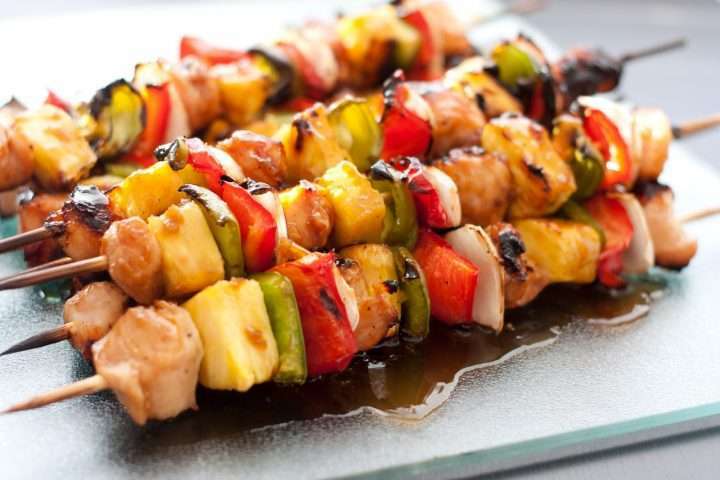 A lot of people discourage having large quantities of meat (which also has some merit for different reasons) – but I have found increasing somebody’s intake of lean meats can be quite effective if they are looking to lose weight. Firstly, most of the people I see are averaging <1g protein per kg of body weight when I first see them. The evidence shows that ~1.75g/kg is optimal for maintaining as much muscle as possible during a general fat loss phase. Obviously, I have to factor in the leanness of the individual when estimating how much protein is needed e.g. somebody who has a high body fat percentage will need slightly less protein due to having less muscle, but it is still likely that >1g of protein is optimal. The evidence also indicates that overshooting that protein target does not have any noticeable downside in terms of body composition. Increasing protein intake will therefore help people maintain more muscle mass, which in turn means their metabolism will remain higher over the long-term. This is something I value highly since I believe it is one of the first steps in reducing the risk of yo-yo dieting. To explain why it is difficult to overeat lean meats I will use a case study of somebody who is overweight and is looking to consume ~1600 calories per day to achieve weight loss at the rate they want. The two different scenarios in this example will be either eating chicken breast or 2-star minced meat. I’m using 2-star meat to demonstrate the point clearly, but 3-star mince will also have a similar issue. 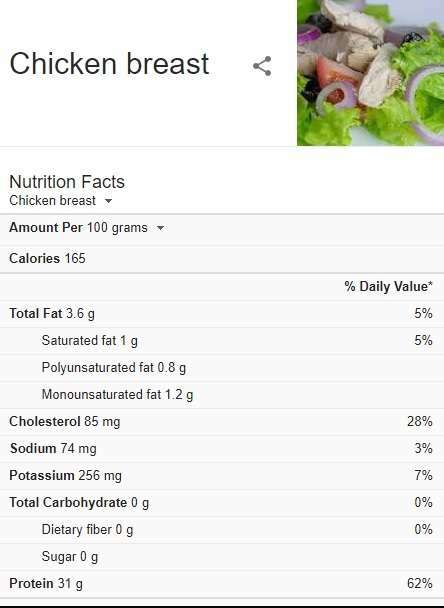 Using the chicken breast scenario, this individual could have 100g of chicken breast and they will be consuming ~10% of their target calorie intake, 31g protein and 3.6g fat. If they have 200g (more than a full breast), they will be having ~20% of their target calories intake, 62g protein and 7g fat. If they have 300g (more than most people will be able to eat comfortably if they are also having 5-6 servings of vegetables), they will still only be at 30% of their calorie intake and they will be taking in a solid 93g of protein. If they weigh 93kg or less that would have them at >1g of protein per kg of body weight, without considering the other foods they eat. With the 2-star mince example, it isn’t as easy to eat a large quantity and stay within a specified calorie deficit. 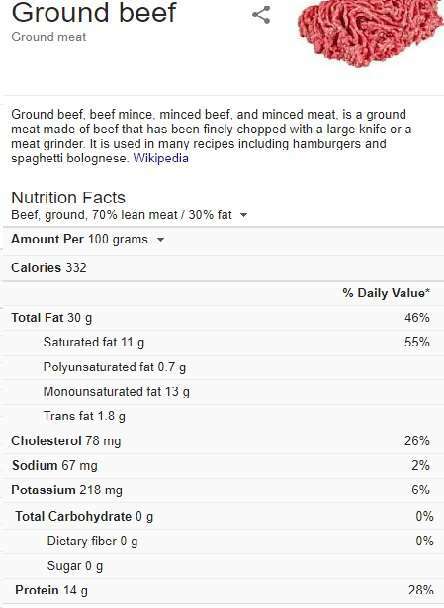 For 100g of the mince, it is 20% of their target calories, 14g protein and 30g fat. For 200g it is 40% and for 300g it is 60%. Even at 300g it is still only 42g of protein as well. I’m a fan of plant based diets and the health benefits related to them, so my first recommendation for people with big appetites is always to eat more vegetables and legumes. Not everybody is interested in taking that far however. If somebody has reached the limit of how many vegetables they are willing to eat, and they are still hungry, lean meat is generally the next thing I look at increasing. It seems a bit counterintuitive for people who have been told for years that they need to cut down on their meat intake, but it can be an effective method if implemented correctly. Aidan has been exposed to the most recent and up-to-date evidence based approaches to dietetic intervention. Dating back to well before starting uni he has been fascinated by all things nutrition, particularly the effects of different dietary approaches on body composition and sports performance. Due to this passion, he has built up an extensive knowledge base in multiple areas of nutrition and is able to help clients with a variety of conditions. One of Aidan’s main strengths is his ability to adapt plans based on the clients desires. By having such a thorough understanding of optimal nutrition for different situations he is able to develop detailed meal plans for clients, or he can provide flexible guidance that can contribute to improving the clients overall quality of life.